An interdisciplinary conversation about the complexity of Yuan Yunsheng's Two Ancient Chinese Tales—Blue + Red + Yellow = White?. 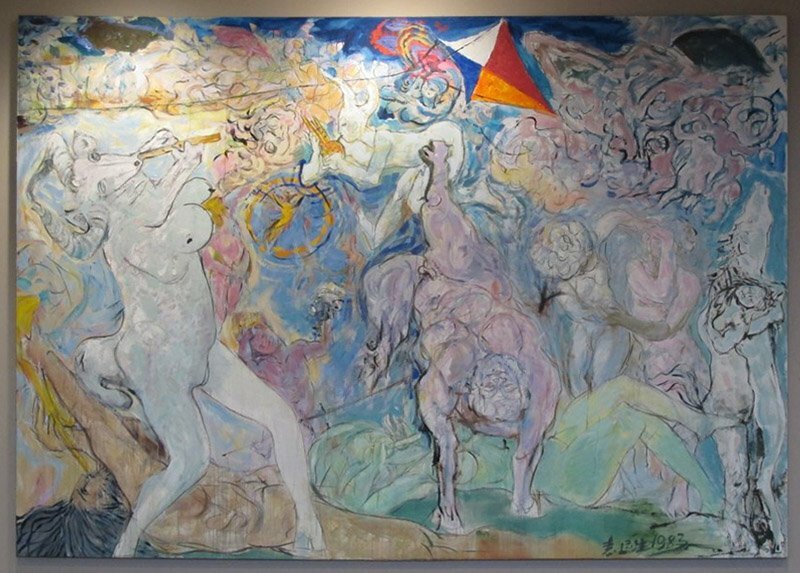 Currently on view at Tufts University Art Gallery, the epic mural cycle reinterprets ancient Chinese fables and traditional stories to reflect modern historical narratives. The panelists will contextualize the mural within the political and cultural climate in China under Mao Zedong, and situate the work within a greater tradition of public murals as a form of activism. Panelist include: Ethan Murrow, Professor of the Practice Graduate, Painting and Drawing Departments, SMFA at Tufts University, Michael Beckley, Assistant Professor in the Political Science Department, a fellow at the Harvard Kennedy School's Belfer Center for Science and International Affairs, and a consultant for the Office of Net Assessment at the U.S. Department of Defense, Nancy Berliner, Wu Tung Curator of Chinese Art, Museum of Fine Arts, Boston, Ethan Cohen, Ethan Cohen Fine Arts, New York. Moderated by Julia Murray, Professor Emerita of Art History, East Asian Studies, and Religious Studies, University of Wisconsin; and Associate in Research, Fairbank Center for Chinese Studies, Harvard University.